Peacock Alley Waffle Shower Curtain - Swatches may be available. 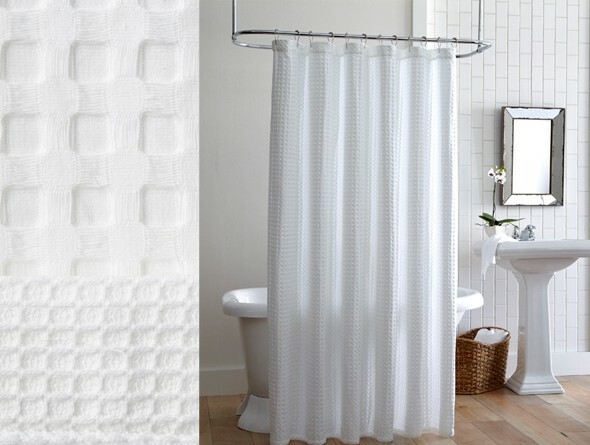 The classic waffle weave is now a shower curtain. Made from 100% cotton and imported from Portugal. Machine washable.